How can we improve the health of our community? By making sure biases, beliefs, and attitudes don’t keep people from getting tested and accessing care. Join the Council on Substance Abuse-NCADD (COSA-NCADD) as we recognize National Black HIV/AIDS Awareness Day and come together to stop HIV stigma. 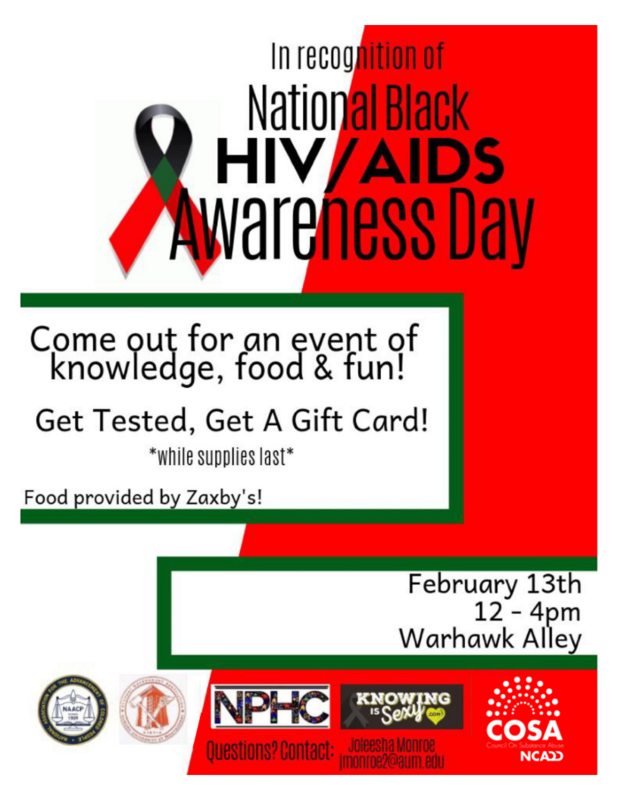 The event will take place Wednesday, February 13th at Warhawk Alley on the campus of Auburn University Montgomery.